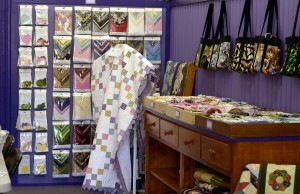 throughout the last 3 years that The Quilt Fairy Shop has been open. sure you join our mailing list so that you are kept updated. This is our Charity Projects Night where were work on Quilts and items for the various charities that we support. Our main focus on Wednesday Nights is “Days for Girls” www.daysforgirls.org where we sew sustainable/reusable feminine hygiene products for Africa & Asia and we would love for you to come along and join us in this very worthwhile journey. Work on your own project or let us help you with choosing a new one. We also work on our many Charity Projects and would love for you join us. During 2018, we will have a new range of hand and machine piecing workshops for you to participate in if you wish, or if you have a particular style of quilt that you would like to make, please let us know and we will be happy to help you make it. Beginners to both Groups are very welcome. Please See below for a full calendar of dates. If you would like to learn paper piecing, machine piecing or just to sit and sew with other like minded ladies please contact us as we would love to have you as part of our circle. Beginners are most welcome to learn in our friendly, relaxed environment. Click on the link below to check out our 2018 Dates – no need to book, just come along and we will always be there. See you soon! The Midwest Autumn Craft Round Up is a two day weekend of HANDS ON art and craft workshops with tutors who have been recognised Locally, Nationally and Internationally for their work. Now is your opportunity to learn an art or craft at an affordable price over a fun filled weekend! The event is open to everyone above 12 years of age. Registration fee for each workshop is $75 per day, this includes your Tutor morning/afternoon tea and lunch. Kits are purchased directly from the Tutor on the day. Visitors are welcome to come in and have a look around 9.30am – 4.00pm and entry is $5.00.